An average person has more than one social site they are actively involved in. Memories are amassed here in the form of memoirs and photographs. Though, not everyone considers the importance of preserving these memories at their time of demise, the kin you leave behind may feel attached to these memories of you. 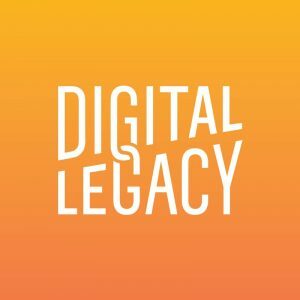 Here, you will learn the possibilities of leaving this digital legacy as an inheritance. Though the world is now fully digitally integrated, the companies that provide this virtual world connectivity still keep a close check on privacy regulations. This means that there are a very few companies that give a leeway for your kin to inherit your digital estate. Facebook, for example, provides a leeway by which your kin can memorialise your profile and post on your timeline in memory of you. You can do this by providing memorialising as an option for Facebook, rather than the permanent deletion of your account. This is one of the most ingenious ways to keep your memory alive that a social media company has come up with. You are able to elect a legacy contact that will have the power to pin on your timeline and change your picture. They can also respond to new friend requests. Your legacy contact’s powers are, however, limited as they can’t post as you or read your private messages. While Facebook is a prime example of how to leave a virtual legacy, the rest of the online profile companies keep a tight leash around the privacy of their clients. Google, for example, has the option of deactivating your account after a certain period of inactivity. You are given the option of setting the period of inactivity from three, six, or nine months. After this, Google can close your account, or if you had set it, will notify your trusted contacts and share your account with them. At the end of the day, you need to make an informed decision on how you want your digital estate to be handled upon your demise.